Home » Archaeology » Could this mysterious deity be the Armenian God Vahagn? 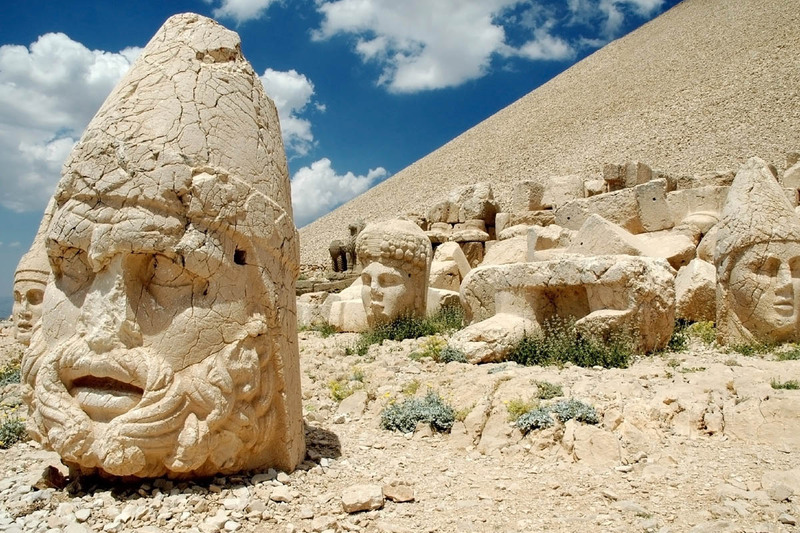 A mysterious sculpture of an unknown deity was discovered in southeast Turkey, last year. 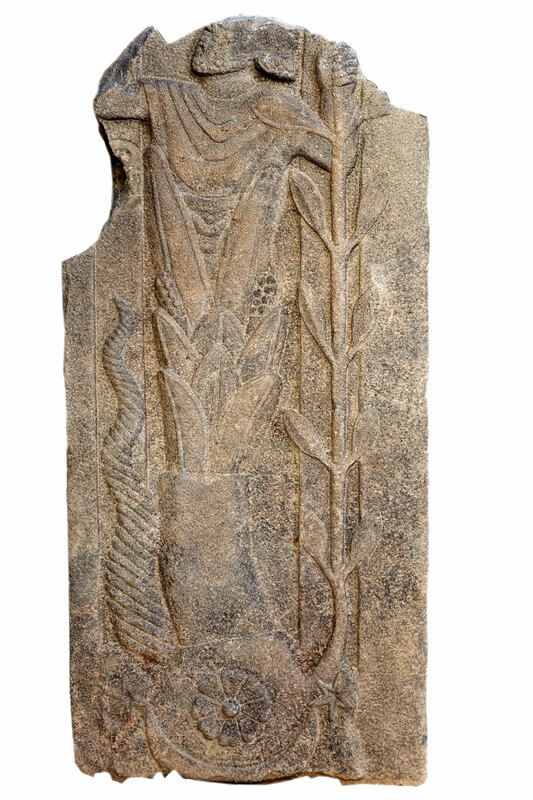 The sculpture shows an enigmatic bearded deity rising from out the stalk of a plant. Scholars seem to be baffled about the identity of the deity and Live Science reported that “More than a dozen experts contacted by Live Science had no idea who the deity was.” The sculpture was discovered at the site of a 1st century B.C. temple inside a supporting wall of a medieval Christian monastery. Could this be an early image of the birth myth of the native Armenian deity Vahagn? Let us first examine the iconography in more detail. Experts from the German University of Munster have created a 3D image of the stele showing it from different perspectives. See video bellow. The relief depicts a bearded man rising up out of a giant reed-like plant while holding the stalk of another. The bottom of the relief shows images of a mountain/rock, a crescent moon, a rosette, two flanking stars or perhaps starfish, and something that appears to resemble a horn or a long seashell. The top of the relief was broken off but when it was complete it would have stood about the size of a human being. Vahagn was a pre-Christian Armenian deity of courage, identified with the Greek Ares and Heracles. We know that Vahagn was often associated with such plants as reeds and straws in Armenian mythology. For example the Armenian legend recorded by the 4th century historian Movses Khorenatsi tells the tale of the creation of the milky way, which according to the legend was created by the pagan deity Vahagn who dropped stolen straws during his flight over the heavens. Because of this the Armenian name for the Milky way translates as the “Straw Thief’s Way”. Well, Vahagn is as local as it gets. The temple where the stele was found sits on a mountaintop near the modern town of Gaziantep, above the ancient city of Doliche, or modern Dülük. The area is one of the oldest continuously settled regions on Earth. It was inhabited by Armenians from times immemorial. Armenian Satraps and Kings such as Arsames I (260–228 BC), Xerxes of Armenia (228–201 BC) and Ptolemaeus of Commagene (201–130 BC) ruled the territory. And in the 1st century BC. (to which the stele is dated) during the rule of Tigranes the Great, the region was part of the Armenian kingdom. Moreover, the 1st century BC king of Commagene Antiochus I Theos, who was a member of the Armenian royal family himself, immortalized several large statues of deities including the statue of Vahagn, recorded with his Greek variant ‘Artagnes’ which is the Hellenistic form of the Avestan ‘Verethragna’ and the Armenian ‘Vahagn’, at the famous mount Nemrut. Thus, it is safe to say that the deity Vahagn was no stranger to the region or the period in which the sculpture was created. 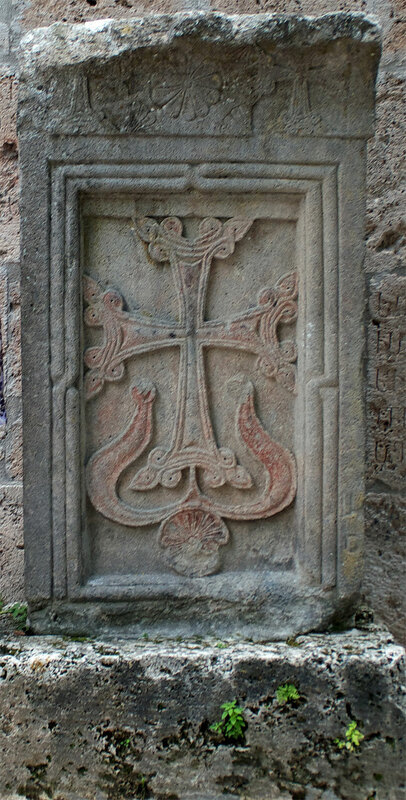 Perhaps most recently the region was part of the last Armenian kingdom of Cillicia during the late High Middle Ages. It held a large Armenian population up until the Armenian Genocide of 1915. Regardless of the last comparison, it seems that indeed the sculpture of the unknown deity is probably a depiction of Vahagn’s birth from the Armenian pre-Christian pantheon. Next Article Why a Roman God wears an Armenian Tiara!